Afghanistan’s U19 (Under 19) team defeated New Zealand today by 8 wickets in a ICC U19 Cricket World Cup 9th Place Play-off Semi-Final match. The match was played at the Cricket Stadium Academy Ground, in Cox Bazar, Bangladesh. New Zealand won the coin toss and chose to bat first. They scored 135 runs (all out; 44.5 overs). Afghanistan easily reached the target, scoring 137 runs (2 wickets; 27.3 overs). Afghanistan did well in bowling, fielding, and batting today. The player of the match honors went to Tariq Stanikzai, who scored 50 runs (not out), the highest from the Afghan team. 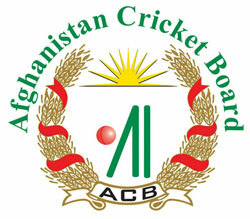 Meanwhile, the Afghanistan Cricket Board today released the list of players who will play in the upcoming 5-Nation Asia Cup Twenty20 Qualifiers in Fatullah (United Arab Emirates) as well as the players who will play in the main round in Bangladesh. From February 19th to the 22nd, Afghanistan, UAE (United Arab Emirates), Hong Kong and Oman will compete, and one qualifier will join Bangladesh, Pakistan, India, Sri Lanka for the Asia Cup, which will be held from February 24 to March 6. In the Qualifiers, Afghanistan will first go up against UAE on Feb 19th, then Oman on Feb 20th, and then Hong Kong on Feb 22nd. Squad for the Qualifiers: Mohammad Shehzad, Asghar Stanikzai (captain), Noor Ali Zadran, Osman Ghani, Mohammad Nabi Issakhel, Karim Sadiq, Shafiqullah Shafaq, Rashid Arman, Hamza Hotak, Dawlat Zadran, Shahpur Zadran, Gulbadin Naib, Samiullah Shinwari, Najibullah Zadran and Yemin Ahmadzai. Squad for the Asia Cup: Mohammad Shehzad, Asghar Stanikzai (captain), Noor Ali Zadran, Osman Ghani, Mohammad Nabi Issakhel, Karim Sadiq, Shafiqullah Shafaq, Rashid Arman, Hamza Hotak, Dawlat Zadran, Shahpur Zadran, Gulbadin Naib, Samiullah Shinwari, Najibullah Zadran and Hamid Hassan.